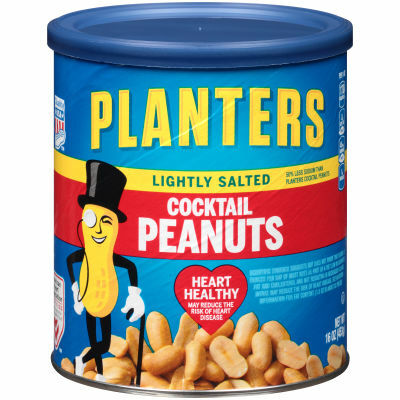 Planters Lightly Salted Cocktail Peanuts - These traditional cocktail peanuts are shelled, skinned and lightly seasoned with sea salt. The resealable canister ensures your peanuts stay their freshest, and allows you to snack on this delicious treat time and time again. Healthy Snack Choice - Planters Lightly Salted Cocktail Peanuts contain less sodium than Planters Salted Peanuts and are cholesterol and trans fat-free, making them a light and refreshing daytime snack.